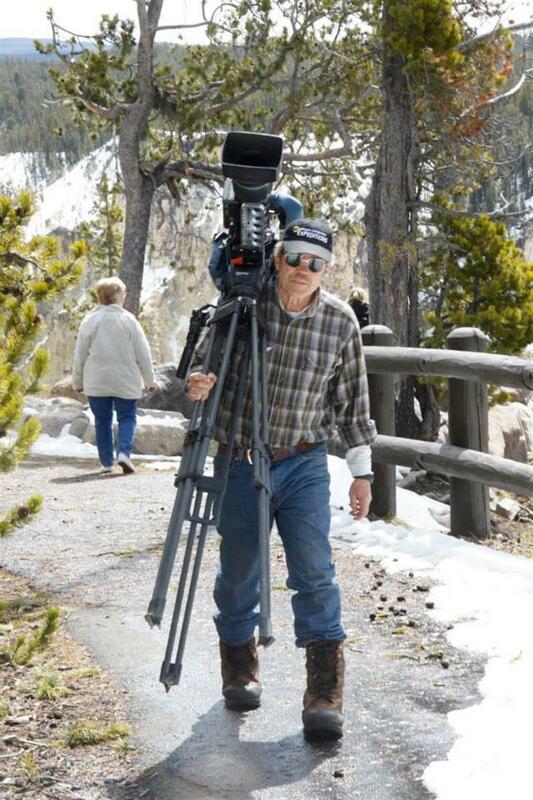 Bob Landis was trained to be a math teacher but from an early age he wished to be a wildlife filmmaker. At age 20 Landis began filming, with his father, big game hunts in Northern British Columbia. In a few years he and his wife were traveling further up the Alaska Highway to Denali National Park in Alaska. Here he met Adolph Murie and his life changed from hunting with a gun to hunting with a camera. Although Landis has filmed many species, his first love has always been wolves. In 1993, after years being a part time professional cameraman, Landis gave up his teaching career to become a full time cinematographer. Since then, he has co-produced and filmed nine productions with National Geographic Television and Nature; one, WOLF PACK, won an Emmy for Best Science Film of 2002. Others have won awards, usually for their depiction of unusual animal behavior. More recently, Bob and co-creator, Dale Jonson, have produced two wolf, a grizzly, otter, and children’s animal play DVDs. Landis enjoys sharing his work directly with others through his lectures and happily shares the footage with the researchers in Yellowstone. His footage has appeared in many productions and he has appeared recently in a National Geographic Channel production, WOLF DYNASTIES. Major credits also include The Rise of Black Wolf, She Wolf, and White Wolf Hayden-Canyon Pack.